I know that like me, many of you sat and watched BCS game after BCS game go down to the wire and fill you with not only excitement, passion, and love of football but an overwhelming curiosity about how the MAC and its higher ups were spending this holiday season. While I would have been more than content to believe the MAC leaders were somewhere on the streets of New Orleans last night vomiting up happy hour hurricanes before attempting the “I knew Brady back when he was flipping over golf carts at Muncie scrambles” pick up strategy to some comely coeds still high on Hoke-a-mania. Or better yet, perhaps they were watching the Oklahoma State-Stanford game with a smug indignation about how much better MAC kickers appear to be than just about anyone else on significantly larger stages, given the referees don’t actually screw you out of an extra point and effectively giftwrap a loss before kicking you in the balls. Or perhaps they were lazily soaking in rays in Pasadena for the Rose Bowl Game-Presented By Vizio since title sponsorship like the AllState Sugar Bowl or Discover Orange Bowl is for low class douchers, not the Granddaddy Of Them All. Apparently, though, the MAC muckety mucks were hard at work in their MidAmerican bunker busily getting the i’s dotted and t’s crossed for the coming season with UMass. Welcome to Finally Balanced-ville… population MidAmerican Conference. Bowling Green moves to the West Division as UMass joins the East Division beginning this fall. Cleveland, Ohio – The Mid-American Conference announced today a new divisional alignment in football beginning with the 2012 season as UMass joins the conference to bring the number of football membership to 14 beginning this fall. With the addition of UMass, who will compete in the East Division, Bowling Green State University will move to the MAC West Division. The divisional alignment was a unanimous vote by the MAC Council of Presidents, as recommended by the Council of Director of Athletics. This alignment will be for football only. MAC East: Akron; Buffalo; Kent State; UMass; Miami; Ohio and Temple. MAC West: Ball State; Bowling Green; Central Michigan; Eastern Michigan; Northern Illinois; Toledo and Western Michigan. This will be the first time since 2006 that the MAC will have balanced divisional schedules. Each member will continue to play an eight-game conference schedule, however each member will now play six divisional games and two non-divisional cross-over games. There will no longer be protected cross-over games. UMass will begin conference play for the 2012 football season and will be eligible for the conference football championship game and a bowl game beginning in the 2013 football season. The conference office will announce the 2012 regular season football schedule by the first week of March. In addition, the MAC announced football opponents for the 2012 season. Ball State will host Eastern Michigan, Western Michigan and Northern Illinois in MAC West games plus Ohio in a MAC crossover contest. The Cardinals will play at Bowling Green, Toledo, Central Michigan in MAC West divisional games plus play at Miami University in a crossover contest. Surprising? About the divisions, no. And in truth, given the conspiracy theorists amid the BSU fanbase the fact that our crossover games just happen to be against the 2011 MAC Runner Up and the 2010 MAC Champion shouldn’t surprise anyone either. The addition of BG (also on the road) is far tougher than the likes of Akron or Buffalo, but at the very least, it is a winnable game. As up and down as the MAC is, the good teams aren’t good for long and the bad teams are always better than you expect eventually. And considering the lack of attendance at most every MAC school, it’s not like homefield advantage is even something to worry about. Of course, all that’s a moot point since the keg of asswhoop about to be tapped in Muncie cannot be stopped by the MAC or its other members. 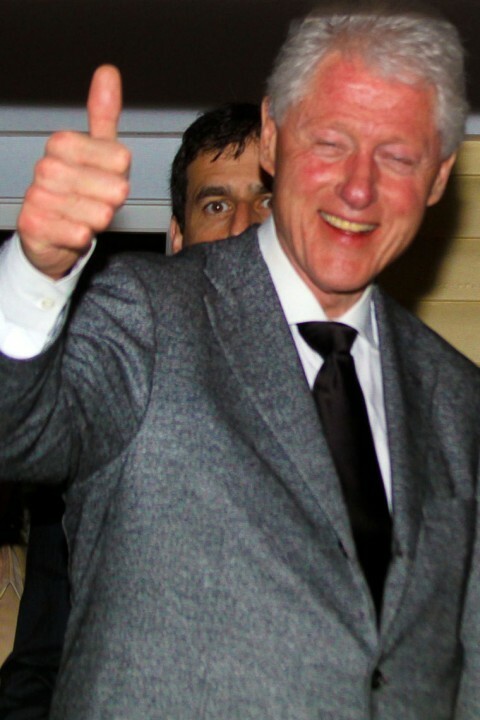 Isn’t that right, Bill? Oooooooooo. Politics reference!!! Let the implosion begin.